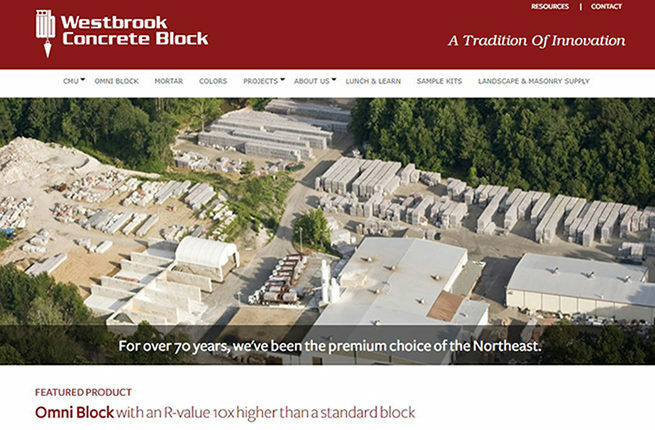 We recently redesigned a website for WestbrookBlock. They are a manufacturer of concrete blocks and have been in the concrete block industry for over 70 years. They have the largest selection of CMU available with a minimum of 40% recycled content. The client’s initiative is to provide a greener construction material to lead the industry into the 21st century. 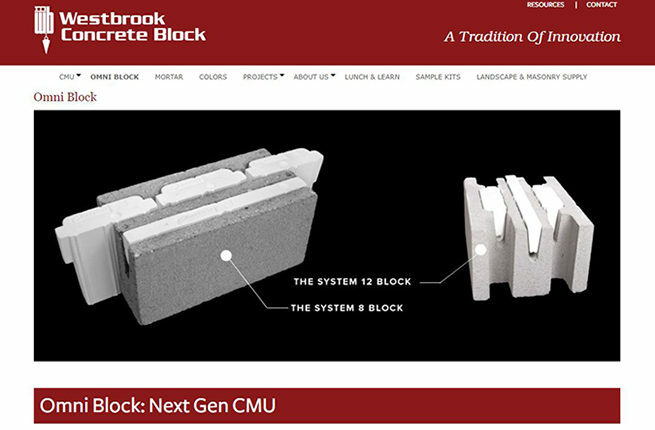 3PRIME created a website for WestbrookBlock that is easier for our client’s customers to navigate. Made a responsive website that easily transforms into a mobile view, with a landing page that views our client’s cinderblocks. Supporting their expanded product line and new products, easier management of product information to enable groupings by attributes like color and finish. 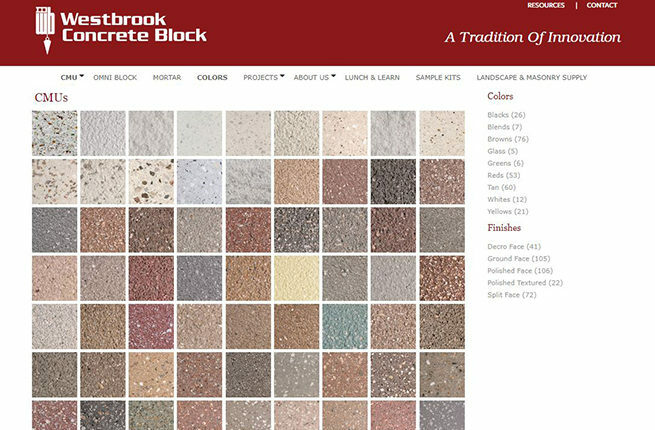 Edited & synthesized existing content & technical data into a major landing page for the West Brook Block flagship product.